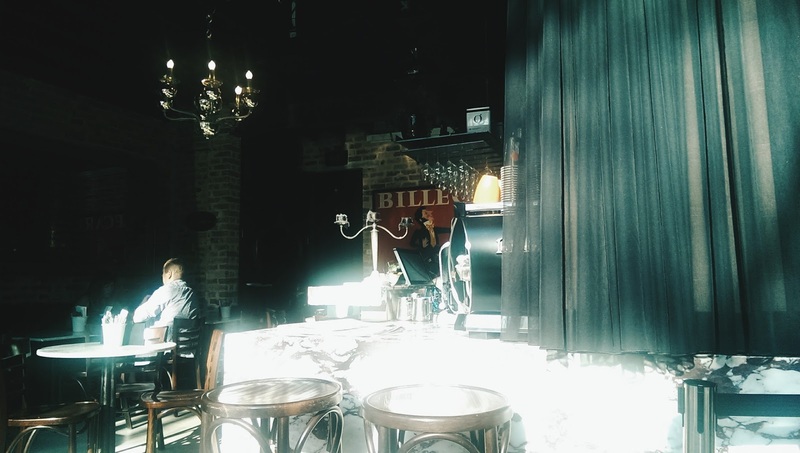 Perhaps Darlinghurst’s most charming spring café – ToTo on Riley Street is absolutely everything you’re looking for in a morning café (including sunlight), except perhaps for the perfect killer coffee knock out. Found on Riley Street close to the corner of Stanley, ToTo is a new Sydney hole-in-the-wall which has been done up to a very high level. 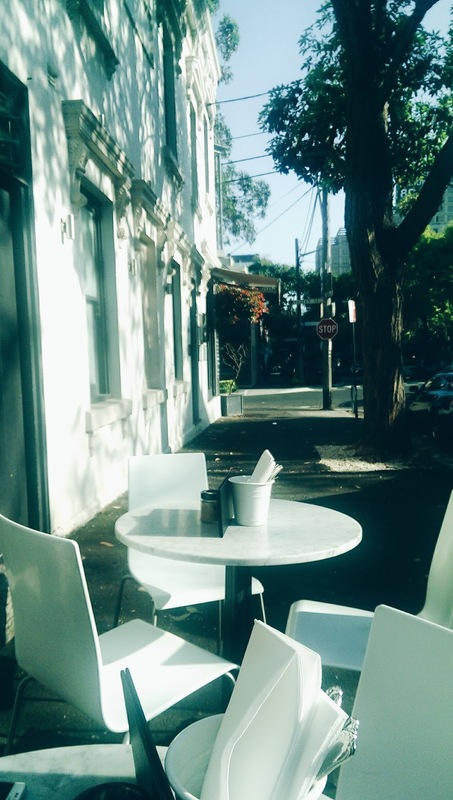 Under the flowering trees of Riley Street (well known via Instagram in spring) ToTo is café that is undoubtedly trendy but in a different way to the normal Darlinghurst café. ToTo is a space that celebrates all that is classy rather than all that is gritty and dirty. Nerd 2 and I arrived here around 7:30 in the morning. The café was quiet at this time with the only customer being a very fashionable old man sitting outside reading the morning paper (AFR naturally). We grabbed one of the two remaining outside tables outside on the street. Very friendly, always willing to say hi, but moving at their own speed the staff were great and friendly, if you’re short on time though, do as Nerd 2 did on this occasion and go in and order. We went two long blacks. While waiting on our coffee, the café begun to filled up. The cliental was a mix of with morning corporate workers and trainers decked out in Nike gear from across the road. Even with the increased hustle it did not feel hectic. 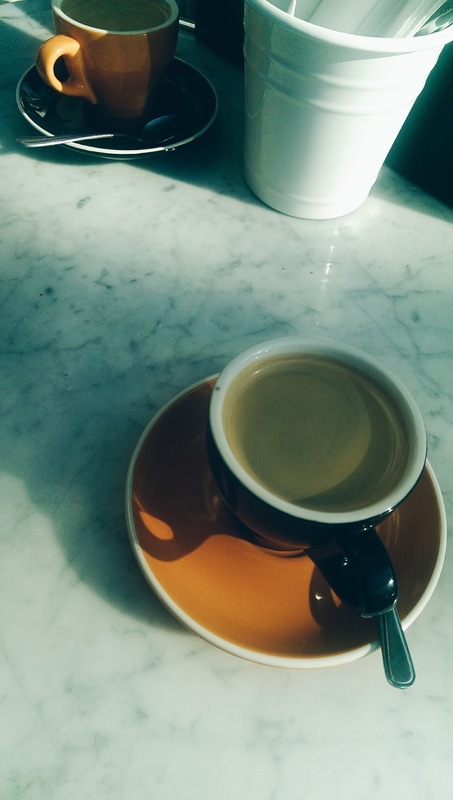 The coffee (Lavazza) was presented on mismatching cup to saucer combination with a solid crema. Given the roaster, it’s what you’d expect from more of a traditional Aussie/Italian style roaster. It’s not going to blow your world away, but it is more doing the right thing. The coffee itself has a reasonably gentle aroma with notes of the roaster. Tasting it, it’s a reasonably intense experience, with a smooth after taste to it. Letting it cool I found it a little nutty and leaning towards some acidity. It was rather pleasant; there was no strong aftertaste. Overall, ToTo is a remarkably good café (the food looks fantastic), providing an almost romantic relaxed European vibe to a morning espresso. The only thing that’s missing from ToTo is the perfect coffee to go with the experience. But given the experience of sitting in the sun under flowering tree lined streets, at what is essentially an exclusive Champaign bar, it’s a bloody great edition to the area and worth the morning explore.